Caption - This was the first time that enthusiasts had visited this mill at least since Fidel Castro took power and maybe never before. 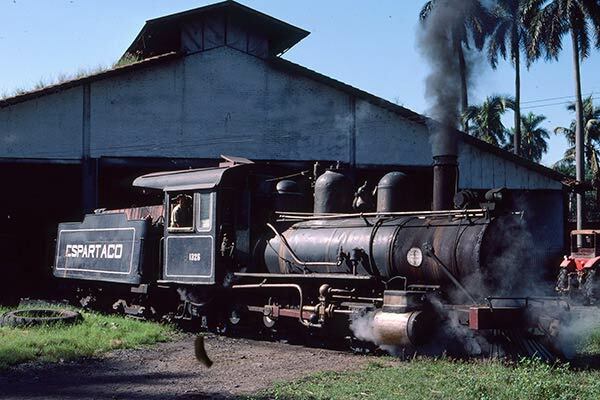 The first loco seen was 1326 a Baldwin built 2-8-0 from 1895. Central Espartaco's system was 2ft 6in gauge.